I got wise and planted these in the fenced-in vegetable garden where the deer can't eat them. Daisy's picking handfuls every day. Oh, one of my favorite bulbs. I miss these. I used to grow them in Oregon. They smell so nice! 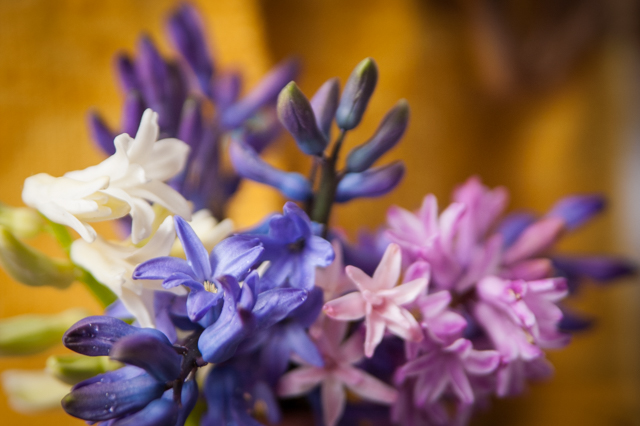 I love the smell of hyacinths! 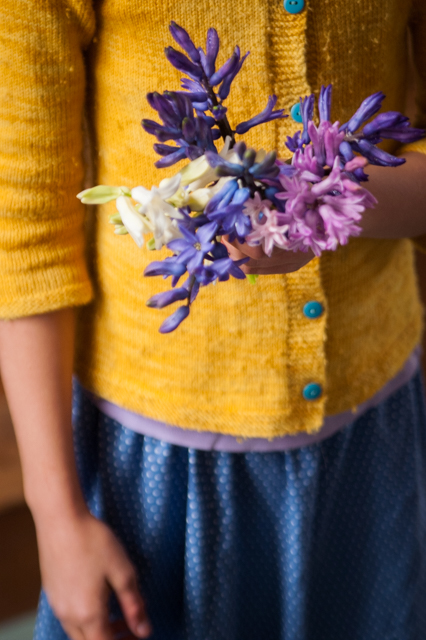 And that first photo, with the lovely yellow-y chartreuse sweater and the bouquet is just stunning. Here, it's exciting to see a deer, every couple of years. For you, way different! How lovely they are against her sunny sweater! Yours hyacinths grow very well. I can say thair nice smell and colorful attract Daisy picking and holding.